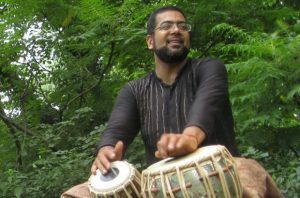 Sameer Gupta is a San Francisco based musician; jazz percussionist, tabla player, composer. His new CD A Circle Has No Beginning is a lively textured exploration of different musical forms, from a Buffy Sainté-Marie song to variations on traditional Raaga. Sameer is someone who is paying attention and responding to the world through his music.